As the Sun enters Aries, the first sign of the zodiac, on 20th March the great liminal boundary of the zodiac is traversed from dissolution to rebirth, and the creative flow of spring erupts into life. Here the potent force of cardinal fire bursts forth, bringing in its fiery trail the drive and energy to emerge from the waters of chaos and the hibernating lethargy of winter and fuel the processes of creation and renewal. 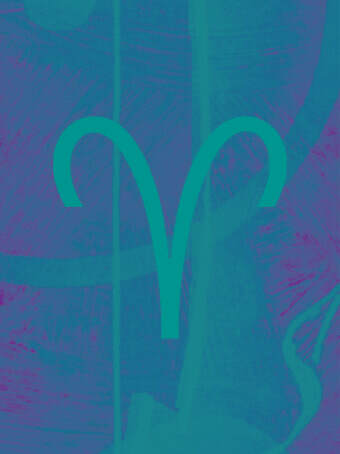 For, as the sign of initiation, Aries the Ram takes a leap over the threshold to bring about new growth. Now too we rediscover the adventure of life as, free from the restraints of old patterns, we open to new possibilities and are empowered to act. Ruled by Mars, the planet of action, here the great potentiality envisioned in the realm of fire emerges into possibility. Driven by the creative force and will of Mars, desire for new life is now focussed to come into existence, to become, to be. Here at this liminal point in the starry round we discover the energy and enthusiasm to remake our lives, and blaze a trail of creative possibilities out into the vista of the new world emerging before us.